What’s Inside: Paleo, low carb, gluten free, and just plain delicious! 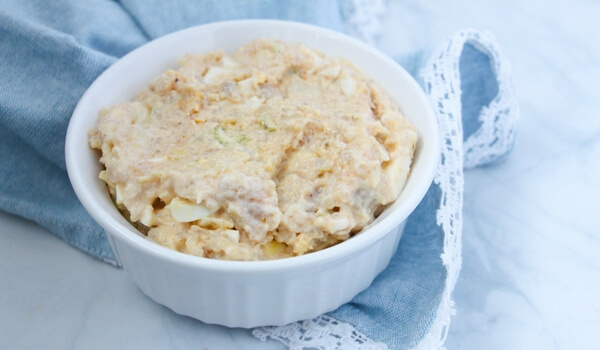 Try this Healthy Cauliflower Potato Salad at your next potluck or barbecue! Potato salad is a summer cookout staple, but it’s not exactly the healthiest item on the menu. However, this Cauliflower Potato Salad is another story! 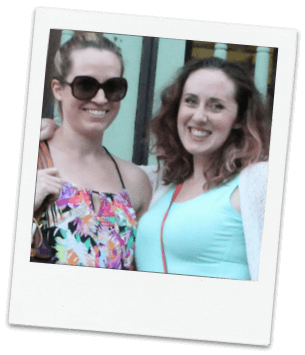 Paleo, gluten free, low carb, keto, — it fits into just about any nutritional plan. That way anyone at the party can enjoy this mock potato salad! We make cauliflower rice fairly often because my husband and I like to scale back on carbs in the evening and the girls love how it tastes. This cauliflower potato salad is also a crowd pleaser! 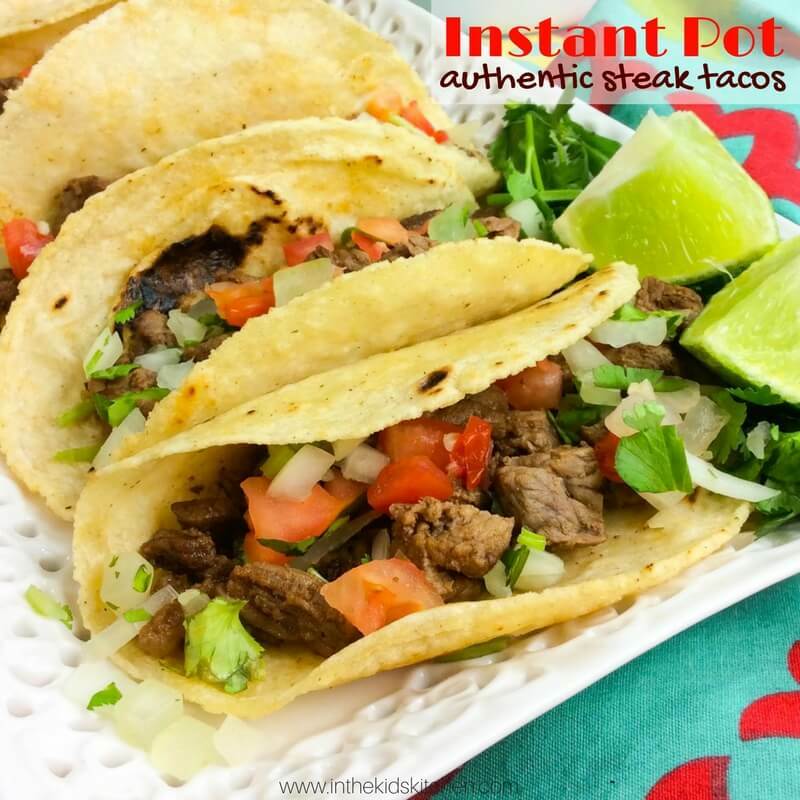 Did I mention that we used the Instant Pot to save a ton of time? Keep reading to find out how! How to cook hard boiled eggs in the instant pot: Place 1 cup of water and in your instant pot and carefully add in the eggs. Select manual setting and reduce time to 8 minutes. Quick release. Place the eggs in the fridge until cool slightly for easiest shell removal. 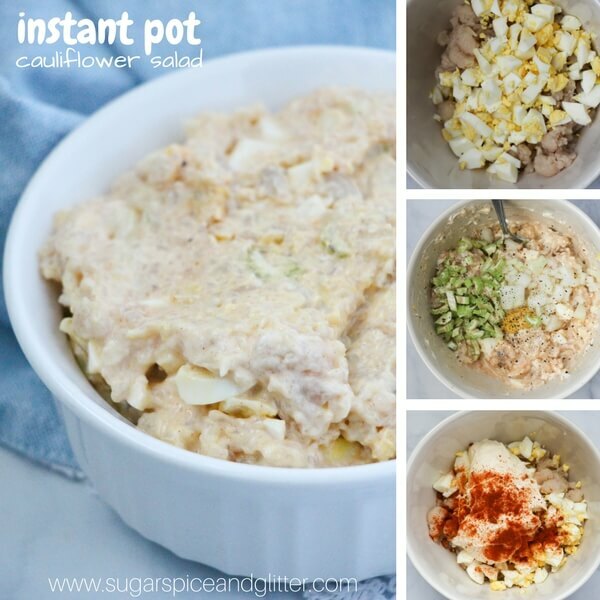 Chop the cauliflower florets into 1″ pieces and place in the instant pot with 1 cup of water. Place the lid on the IP and seal. Set to manual for 5 minutes. Quick release. Drain the cauliflower using a colander and then place in a medium-sized bowl. Chop up the hard boiled eggs and stir into the cauliflower. Chop the celery and onion and add in to the cauliflower-egg mixture, then the remaining ingredients and mash together using a fork or an electric mixer until you achieve the texture that you prefer. Free copy of this Instant Pot Cauliflower Potato Salad is available at the bottom of the post. Paleo, low carb, gluten free, and just plain delicious! 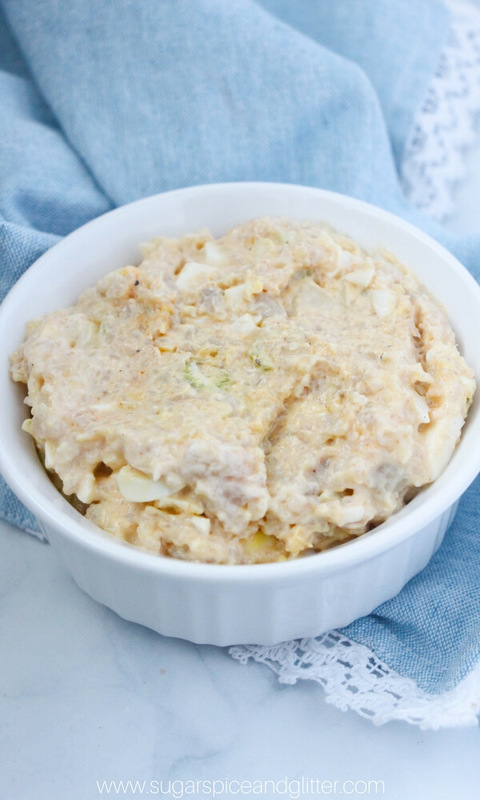 Rich and creamy just like a "real" potato salad, but SO much better for you! 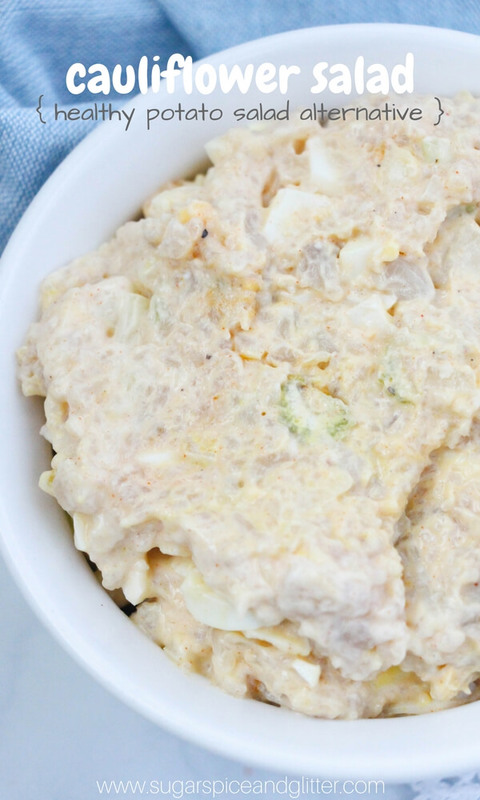 Try this Healthy Cauliflower Potato Salad at your next potluck or barbecue! Chop the cauliflower florets into 1" pieces. Place the cauliflower in the IP along with 1 cup of water. Chop up the eggs and stir into the cauliflower. Place 1 cup of water and in your instant pot and carefully add in the eggs. Select manual setting and reduce time to 8 minutes. Quick release. Place the eggs in the fridge until cool slightly for easiest shell removal.